'How could I have known then with no maps acquired and my bags not yet packed that my journey had already begun? ...The tools of a traveler are compass and map. They calculate distances covered and destinations sought but cannot measure the consequences of experiences on a human heart,' writes Michael Katakis in his introduction. Traveller is a collection of letters and journal entries that bring the immediacy of experience together with perceptive reflections of the author's own past. The entries in this volume are not travel guides. They are more personal, like letters from the most desirable sort of friend. The friend carries the listener with him as he meanders through the medina in Fez or into the hills of Gallipoli. His voice is such that listeners can almost smell the herbs and dusty soil of Crete, and always they are introduced to the people he meets along the way. 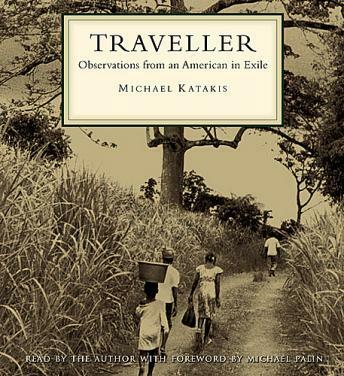 For anyone curious about the world, and introduced with a foreword written and read by Michael Palin, Traveller is sure to delight, infuriate and, perhaps most importantly, inspire thought about the complex world around them.